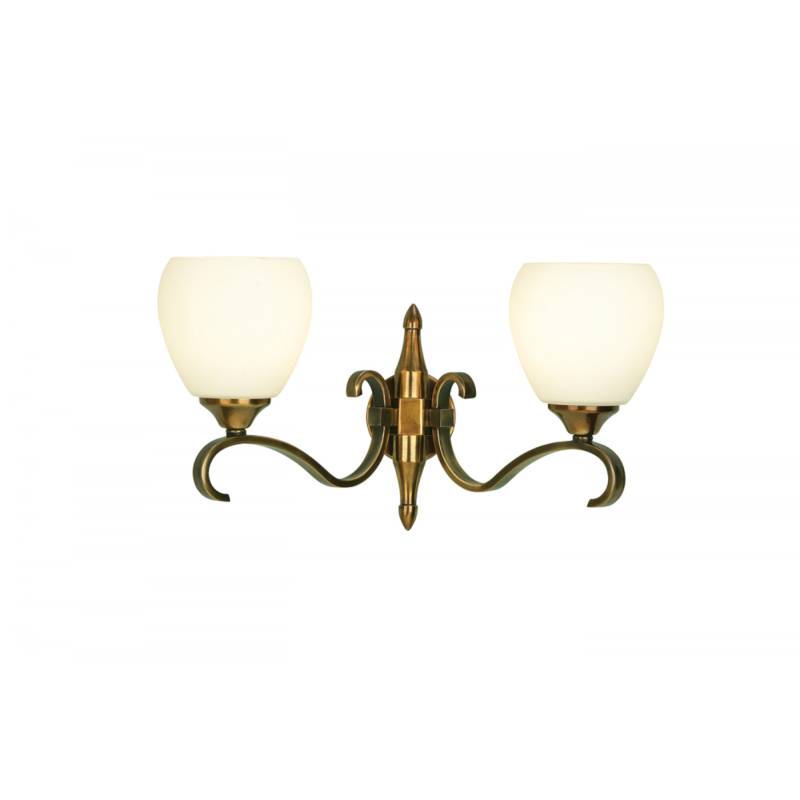 Elegant in appearance and design, this exclusive twin wall light is finished in antique brass and complemented by beautiful matt opal glass shades. Matching items available and compatible with LED lamps. 23cm projection x 24cm height x 44cm width. Material: Steel & glass. Voltage: 220-240V.